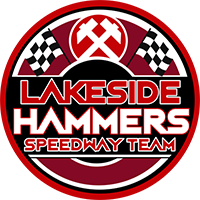 Lakeside team boss Will Pottinger is looking to his top order “batsmen” to hit Workington for six in the Grand Final showdown at Derwent Park tonight. The Comets tried to dead-bat their way through last night’s rain-curtailed first leg at Rye House, packing the minor placings to limit any damage. But Pottinger reckons the Hammers, with their superb top three of Richard Lawson, Adam Ellis and Nick Morris, can get on the front foot and provide the race wins to protect their 10-point advantage. “That’s probably the best way to sum up what Workington have done, to be honest,” said the manager. “But I’d like to think we’ve got the heat leaders to win the races that we need. “We have a double-figure lead, which I wanted before the meeting. We’ve got to look to push on from that and make sure we get off to a good start at Workington. “That’s going to be key. We don’t want Workington to get a head of steam, because then it’s going to be difficult. “We’ve just got to try and chip away as best we can. We’ve put ourselves in a decent position; we need to try and do the business tonight. “Everything’s going to be on the line for 15 heats. The league title’s on the line — we’ll be giving everything. The Hammers are unchanged for the season’s big night. Workington again use Tero Aarnio as a guest, but the extra five per cent allowance for home fixtures means he replaces Dan Bewley at Derwent Park rather than Ty Proctor, as at Rye House. Rider-replacement thus switches from Bewley to Proctor with all Comets eligible to take one of his rides. Richard Lawson, Zach Wajtknecht, Adam Ellis, Kyle Newman, Nick Morris, Ben Morley, Alfie Bowtell. 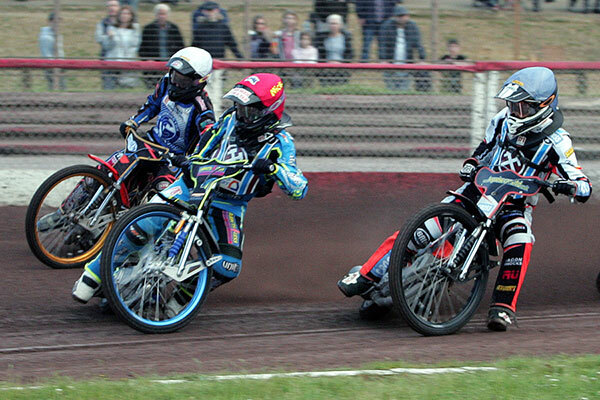 Rene Bach, Ty Proctor R/R, Tero Aarnio (guest), Rasmus Jensen, Nicolai Klindt, Kyle Bickley, Mason Campton.